On 27 March 2019, the UK Parliament voted to postpone the day that the UK will leave the EU (the “Exit Day”) beyond 29 March 2019 as UK members of Parliament (“MPs”) approved a change to the definition of Exit Day in the European Union (Withdrawal) Act 2018 following UK talks with the EU. The Exit Day would have been delayed until 22 May 2019 at 11pm in the event that the UK government’s Brexit deal (the “Withdrawal Agreement”) was approved by Parliament by 29 March 2019. However, the Withdrawal Agreement was rejected for a third time by MPs by 58 votes on 29 March 2019, meaning that the Exit Day has been delayed until 12 April 2019 at 11pm. In light of the negative parliamentary response to the Withdrawal Agreement, MPs voted to take control of Parliament’s agenda away from the government in order to establish a common parliamentary consensus on Brexit. 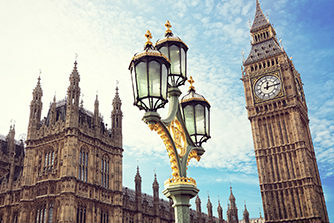 On 27 March 2019, Parliament debated eight non-legally binding “indicative votes” in order to ascertain whether any alternatives to the Withdrawal Agreement were favoured by MPs, which included exiting the EU without a deal, revoking the UK’s decision to leave the EU and holding a second referendum. However, MPs were unable to reach a majority on any of the indicative votes, leaving Parliament without a defined goal for future Brexit talks with the EU. Following the lack of parliamentary agreement concerning the nature of Brexit and the UK’s future relationship with the EU, MPs again debated four of the indicative votes on alternative Brexit arrangements on 1 April 2019, which included adopting a UK-wide customs union with the EU, but each vote again failed to receive majority support from MPs. In light of Parliament’s failure to achieve a Brexit consensus, the EU's chief Brexit negotiator Michel Barnier stated that “a no-deal scenario has become more likely, but we can still hope to avoid it” if the UK were to adopt the Withdrawal Agreement or propose to retain closer ties with the EU by remaining in the customs union. As a result of the continued deadlock in Parliament, there remains no certainty about the exact Brexit outcome. We will keep clients updated as matters continue to unfold.